Polyether ether ketone (PEEK) spinal cages manufactured via fused filament fabrication printing technique. Three-dimensional (3D) printing, also known as Additive Manufacturing (AM), has emerged as a new frontier for medical device manufacturing. Although relatively new, medical devices and surgical instruments from a range of metallic and polymeric materials are being fabricated with AM techniques. 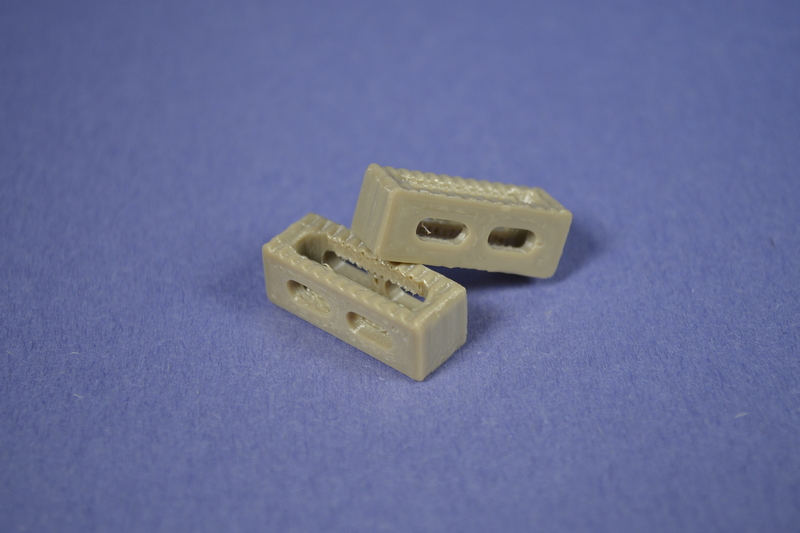 Fused Filament Fabrication (FFF) is one of the AM techniques that has been used in our laboratories for both high and low-temperature polymer printing. Our research group is motivated to examine PEEK spinal cages as well as PEEK porous surfaces produced with this novel manufacturing method. 3D printed antibiotic-releasing spinal clip attached to spinal rod. Bioabsorbable polymers are emerging in the world of biomedical engineering with a multitude of uses. Specifically, we are focusing on their development and application with regards to FFF printing. We have developed and validated method to produce filament for FFF printing, including differential scanning calorimetry and gel permeation chromatography. 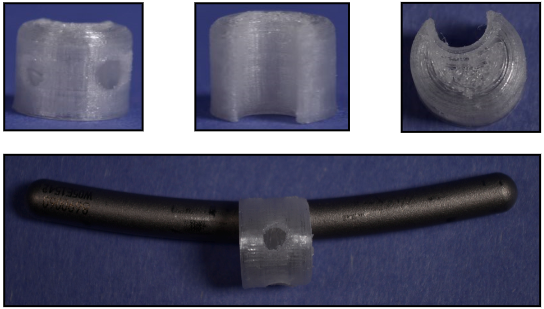 We have successfully 3D printed a bioabsorbable antibiotic-releasing spinal clip for use in conjunction with a rod-screw spinal fusion device for the prevention of surgical site infection. Research concerning this project is still ongoing. 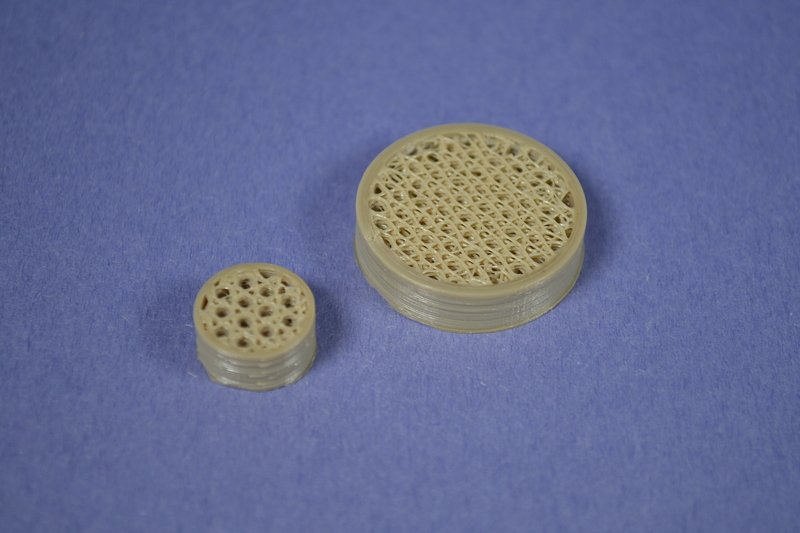 Porous PEEK surfaces printed to promote osseointegration. Traditional porous metal surfaces improve osseointegration between bone and metal implants. By utilizing current fused filament fabrication (FFF) techniques, complex structures such as interconnected porous structures, can be manufactured from PEEK. Our research group is examining the porous architecture to 3D print porous PEEK implants.